15g of GROKSÌ! contain 7.2g of Proteins with high biological value thanks to the presence of the 8 essential Amino acids, and especially contain the 3 branched-chain amino acids in the correct proportions. Endurance athletes are included among the individuals who suffer more calcium deficiencies, an mineral essential for bone health, which goes hand in hand with muscle tissue health. In just 15g of GROKSÌ! there are 250.5 mg of calcium that cover 31% of the reference nutritional value. Calcium bioavailability increases in presence of an equal amount of phosphorous, a condition GROKSÌ! meets fully. 15g of GROKSÌ! provide 1.1 mg of zinc that is important, because it is essential for the energy metabolism. Snacks are an important help, especially when the intervals between meals are lengthy, also helping to not be very hungry at the next meal, and to keep blood sugar levels constant so as not to cause harmful surges to our health. An important thing is to choose a hunger breaking snack that provides essential nutrients that foster all the processes needed to improve our health conditions. GROKSÌ! provides you with high biological value proteins, with all the 8 essential Amino acids, calcium, for bone growth and combat osteoporosis, and phosphorous that also helps makes calcium quickly available. 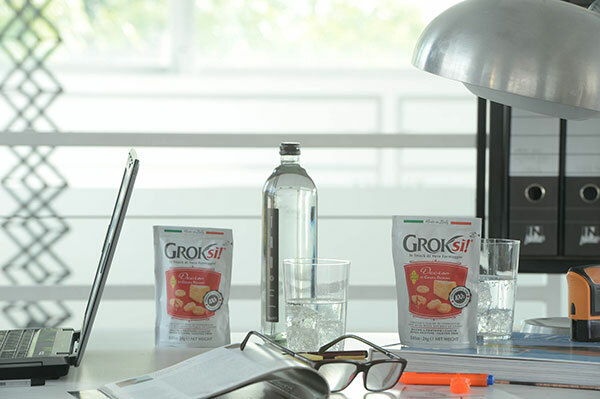 One sachet of 15g of GROKSÌ classic or Decided taste! provides 0.36mg of Vitamin B12, which plays an anti-anaemic action, essential for the nervous system’s proper functioning. Besides being a tasty light snack, GROKSÌ! is easy to digest thanks to the presence of calcium, which promotes natural functioning of the digestive enzymes. Food preferences and regular physical exercise habits are formed early in life: for this reason it is important to teach children to eat properly and practice proper amounts of sports. GROKSÌ! does not contain any sugar and is rich in proteins, which are the “bricks” that make muscles and tissues grow in the body of our children. Proper development of muscle mass during childhood will be reflected in the vigour and stamina that the children will enjoy as adults. GROKSÌ! is rich in Calcium, which is essential for bone and teeth development. It is a high nutritional value snack made with controlled ingredients that you know well! With its crispness and flavor, GROKSÌ! is a healthy snack that children like so much! GROKSÌ! changes the aperitif because it’s your healthy, elegant and typically Italian choice, with its unique and intense cheese taste. 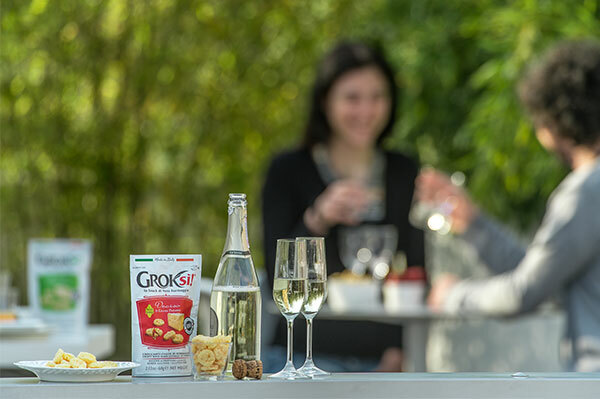 Simple or dressed as nice, easy and delicious finger food, you can’t do without GROKSÌ! for your memorable party. Keep it ready in your larder. GROKSÌ! keeps the nutritional features and unmistakable taste of the cheese even after being cooked. 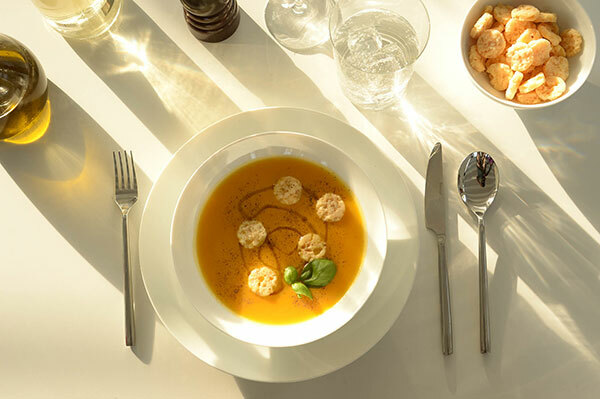 It is ideal to add taste to healthy recipes and light dishes (such as soups and salad) and provides valuable elements to maintain the shape and strength of both muscles and bones. GROKSÌ! supplies high biological value proteins, calcium for the bones and to combat osteoporosis, and phosphorous that also helps to make calcium available quickly. GROKSÌ! is the dietetic snack that adapts well to different food regimes. GROKSÌ! is the perfect protein snack to be used in diets without carbohydrates and for sport nutrition needs. It is suitable for celiac people, and has been included in the AIC Formulary, being suitable for those who suffer lactose intolerances, as well indicated in its package. GROKSÌ! New taste is designed for vegetarians. GROKSÌ! is a valuable ally in the kitchen, because it is practical and fast and adds flavour to any dish. GROKSÌ! is the perfect basis for tasty appetizers and finger food and to create quick snacks as aperitifs. It only takes a little imagination to create healthy and tasty recipes and snacks to break our hunger. Offered with fresh or whizzed fruit or vegetables, it is the ideal snack that cannot be missed inside the larder!